On a regular basis I meet with prospective students (and their parents) in the attempt to recruit them to come to the institution where I teach, Furman University. On the one hand, I am always happy to do this because I figure that anything philosophers can do to let students know what philosophy is all about is a good idea. On the other hand, however, I am similarly happy to do it because it gives me a chance to change the narrative that is so dominant in contemporary culture regarding the “point” of college itself. Many people have begun to ask: “Is college worth it?”1 However, usually when that question gets raised it is articulated relative to a narrow conception of “cost” rather than what we might term an expansive conception of “value.” When I meet with those students (and their parents), I often ask them what they hope to get from college. Far and away the most common answer is “I hope to get a job.” Jobs are important for the material stuff of existence, so that this is the first thing that the young student thinks about is entirely understandable within a cultural framework that so dominantly stipulates one’s existential significance in monetary terms (just ask a car company how much a life is worth when it comes to calculating whether to issue a recall, etc.). However, then I think about my own son, Atticus, who is six years old. Currently, he says that he wants to be a “geologist baseball player,” but last year he wanted to be a “scientist-painter,” and before that he was gunning for that hot new field of “drummer who is also a superhero.” Here’s the thing, I never worry about what Atticus will do for a job; I worry about who he will be as a person. What keeps me up more than a few nights is the concern that in my own drive to be “successful” in monetary terms, I will fail to demonstrate a life well lived as “faithful” to what matters (or at least what I have decided matters). Or, said a bit more philosophically, I frequently ask myself what he will eventually say if asked about the “object of his father’s faith.” Will he say that I lived a life oriented toward serving others, or serving my own ego? Will he say that I was guided by a commitment to a word of welcome, or a word of warning? I do not know what he will say, but I continue to try to remain faithful to enacting the narrative that I hope will be true for him about me. When I look at my son, I am thrown back on myself—but the self I find in these moments of humbling reflective self-interrogation is not a self that is defined by an annual salary, but instead someone else, someone defined by something deeper and harder to explain. I am not sure I have the right language to express “who” this self is, but I do believe that it is the self that is “worth” cultivating as the task of higher education. In this sense, education might best be understood as the inverse of Plato’s conception of philosophy: it is preparation for living. But, how much is the cultivation of selfhood worth? Here, again, we run into the question of whether “worth” is a matter of cost or value. Here Kierkegaard calls into question not only the general aim of human existence, but more specifically the point of higher education. His frustration with his university endeavors stem from the fact that he gained information, but not an identity. He was prepared for the so-called real world of employment, but not for life. He was able to be successful, but at the cost of becoming faithless. Perhaps I have just read too much Kierkegaard. Perhaps I should spend more time with professors of business and political science, rather than professors of classics and literature, but regardless, I have grown weary of the dominant narrative of higher education that ultimately abandons the task of self-making as of little “value” in the “real-world” of calculating “costs” relative to monetary success. 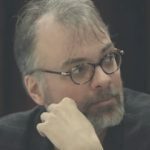 For my part, I think that those humanities professors, disciplines, and departments end up being their own worst enemy when they attempt to reassert their social relevance by demonstrating their worth in the very economic terms that have brought about the existential crisis facing the humanities in the first place. Only in the attempt to offer defeaters to the claim that the humanities are bad financial investments should such evidence be offered. The point, though, is not to beat back the critics on their own terms, but to re-cast the terms of the debate itself. The primary goal should not be to interrogate the data that might suggest that a major in philosophy or religion leads to unemployment, but to interrogate the logic by which employability is the exclusive criteria for assessing the “worth” of a specific field of study, or college more generally. How much is my son’s life worth? Even to try to answer this question is to miss the point of the question itself. I am not suggesting that college should be expensive (the “cost” of college is a serious issue and one that needs addressed), but simply that the point of college is not something that can be understood according to the economic logic by which it is so often conceived. Higher education cannot do everything. What we expect from college is largely due to our subjectivity having already been conditioned as oriented toward certain expectations. My son is currently in kindergarten and I am amazed at how quickly he has taken as normative a whole host of very contingent commitments. Simply put, if we want to rethink college relative to the task of self-making, then we need to rethink education, as such, all the way down. It is here that Claire Elise Katz’s book, Levinas and the Crisis of Humanism, begins to press. Although properly understood as a contribution to Levinas studies, this book will necessarily be undervalued if it is viewed as only of relevance to scholars working in Continental philosophy. This book offers a call for a reevaluation of the task of education by interrogating the current educational structure in relation to the alternative framework provided by Levinas’s understanding of Jewish education. As with Kierkegaard, Levinas offers a model of education that focuses on the creation of ethical subjectivity, rather than employable units of marketable consumption. Katz’s careful argument in favor of this Levinasian alternative is not merely a matter of speculative theorizing, but instead finds support in empirical examples already operative in some educational systems. The proposal that Katz and Levinas jointly offer is that education should be interruptive of the default norms and expectations so often motivated by well-meaning teachers whose pedagogy is driven more by testable outcomes than by the faces of their students. Katz’s Levinasian account embraces the messiness of human existence and, hence, opens students up to the “real-world” of decision, disorientation, and difficulty, but also of joy, desire, contentment, and hospitality. The contributors to this symposium are all distinguished Levinas scholars and most of them are also widely published in Jewish philosophy more broadly. The symposium essays will unfold in the following order: Oona Eisenstadt, Martin Kavka, Deborah Achtenberg, James Hatley, and Dennis Beach. Then, Claire Katz will offer a unified response to all of these readings of her book. As evidenced by the wide-ranging discussions that occur in these commentaries, Levinas and the Crisis of Humanism will likely continue to generate significant philosophical and pedagogical debate for a long time, but this is a debate well worth having. If not for the sake of the philosophy of education, then for the sake of my son, and the daughters and sons of so many others, who will largely be formed by the pedagogy that is in place in the schools where they will spend so much of their early lives deciding who it is that they will become and to what they want to remain faithful. The value of thinking well on this issue is incalculable because far more than the fate of the humanities hangs in the balance—our very subjectivity does. I hope that we are up to the task because it is a task that is worth it. There are two broad arguments in Claire Katz’s book.1 One is that Levinas’s ethics is underpinned by an understanding of Jewish ethics, and that it cannot stand, or at any rate does not stand, without that underpinning; in short, Levinas’s work is fundamentally Jewish and fundamentally theological. The other is that our society’s understanding of education, which is broadly Rousseauian and Nietzschean, is insufficient, and would benefit from elements we can draw from Levinas, this specifically Jewish Levinas. The book is engaging, compelling, and at every turn generative of thought. Admittedly it is my intention in this piece to take issue with both of its central arguments, but in the course of doing so I hope also to convey that the book is important and exciting. The two arguments do not depend on one another. This is to say that it is possible to claim that the conception of education prevalent in our society, the one that underlies the educational policies of school boards and common pedagogy in universities, could get a shot in the arm from certain Jewish ideas as expressed by Levinas without agreeing with Katz’s argument that Levinas’s phenomenological ethics require a theological Judaism in order to work. There’s no doubt that Levinas is Jewish, that he did express Jewish ideas, and that he did so in his philosophical works as well as his occasional Jewish writings; furthermore, it is not radical to argue that our thought today, and our practice, would benefit from an encounter with Judaism of the Levinasian form. There is, after all, a broad strain of contemporary continental thought that is Jewish or Judeophilic, and that holds that talmudic difference, or a Jewish conception of truth, or an exilic conception of political possibility is what we need today. Even Judith Butler’s Parting Ways, for all that Butler expresses concern about privileging Judaism by doing so, functions by turning to the Jewish sources for polyphonic, multivalent political alternatives to conventional hegemonic rubrics.2 So when Katz takes this kind of Judaism onto the new ground of educational theory—and I believe she is the first to do this—she makes this step from philosophical ground that is relatively familiar. Judaism is multivocal and perspectivalist, Judaism offers a critique of capital-T truth in favour of relational truths, Judaism supports its deep sense of moral responsibility with a moral hesitancy, a check on the dangerous élan of moral certainty—these are, it is said, ideas that we need after the grotesque political certainties of the middle of the twentieth century—and thus it makes absolute sense for Katz to apply them to the question of education, using them to address those whose thought has shaped our educational understanding, Rousseau and Nietzsche, as well as the debates that have concretely shaped educational policy, debates drawing on Dewey, Maria Montessori, Hannah Arendt, Stanley Fish, and some others. The argument is new, but it is prepared for, and it is difficult to be completely unsympathetic to it. Because I find it fruitful, I will linger on it for some time, returning only at the end of the paper to Katz’s other argument—to the effect that Levinas’s work is fundamentally theological. Does Educational Policy in the Western World Need a Jewish Levinasianism? Katz opens her argument on educational policy by describing a position broadly shared by Stanley Fish and Hannah Arendt.3 Though both these thinkers are political progressives, and Fish is certainly perspectivalist, both of them argue for a separation between politics and the classroom. Educators, they say, should not be trying to cultivate good citizens. We should not be trying to shape the political future by shaping our students’ political opinions; rather we should teach the text and the text only. Put together by Katz they offer a picture of an old-fashioned, rigorous education including the close-reading of classic works, perhaps philology, perhaps Latin. Why? For Arendt we should eschew political cultivation because the attempt to shape one’s students convictions can only result in reproducing one’s own ideas in them, or shaping them in one’s own image, and ultimately this has to be retrogressive politically. If in distinction we teach the text and the text only, we give them a sense of the culture that has formed our social institutions; they are then free to imagine reshaping that culture in ways that we could not conceive, ways that might be adequate to the future. In short, by teaching them our version of progressive politics we hold them back; by refusing to teach them to be progressive we give them a solid basis to move forward. And it seems to me that this understanding is broadly shared by Fish, whose ostensible argument is that you teach the text and only the text because the only justification that exists for the humanities is the pleasure it affords humans. For all Fish’s talk about the text as a source of pleasure, he is not averse to students becoming political. Only they have to figure out how—and if we tell them how they never will. Save the world on your own time: this, as well as being the title of a fairly recent book by Fish, is his pedagogy in a nutshell. Arendt would agree, and—as will become quite obvious as my remarks continue—so do I. It is not unreasonable of Katz, however, to raise problems with this pedagogical model, which she does in the name of Dewey, who argues that we can and must encourage a creativity—which Arendt’s rigour would perhaps stifle—and also an empathy—which the competition implied in Arendt’s model might undermine. The discussion of Dewey then leads Katz to Nussbaum, who argues that books awaken the reader’s moral sense, making students more empathetic and engendering moral courage. This is the turf on which Katz wants our pedagogy to be located. And yet Nussbaum falls short for Katz since, as Katz handily shows, while reading does seem to make some people more empathetic it does not do so for everyone. Cultured Nazis are enough to show that Nussbaum’s method is flawed: you can read many novels and much philosophy and still be immoral. In fact, Katz tells us convincingly, Nussbaum’s model won’t work unless the students in question already have a moral education—unless they have already been trained in empathy. Indeed she makes this argument apply to all the theorists at which she looks, arguing that underlying the debates is a more fundamental or foundational moral education. Without abandoning her allegiance to a Deweyan or bottom-up pedagogy, as opposed to Arendt’s top-down model, Katz seeks something prior and more foundational, something on which our pedagogical theories and policies ought to rest but to a great extent do not—or perhaps they rest on it unconsciously instead of with awareness. This something, of course, is the Levinasian understanding of the ethical. Katz suggests in chapter 2 that our educational policy, and perhaps our social understanding, conceive morality as reliant on self-sufficiency. This argument, broadly familiar under the rubric of moral autonomy or personal sovereignty, shows how the philosophical anthropology and educational philosophies of Rousseau and Nietzsche, as Katz interprets them, have led us to reject vulnerability and dependence and to regard community with suspicion; community, or human relationality in general, is seen as something that will cloud the understanding rather than illuminate it. Under these circumstances, it is no wonder that reading books only sometimes produces empathy! But now: enter Levinas. Structurally, what Katz gains by bringing Levinas to bear here parallels Levinas’s own intervention in the common assumptions of politics or sociality. By drawing our attention to the fact that, in between the human alone (or the “one”) and human society (or the “three”), there exists a “two,” a face-to-face relation, Levinas undermines the primacy of a politics built on a conflict between the individual and the collective. Likewise, Katz can be seen putting the two, or the face, back in its place as the relation of teacher and student, and in this way breaking open the pattern on which the common debates have rested: the pattern by which social authority vies with individuality. Thus, Katz suggests, Arendt’s model, by which we teach the ideas of others and assume the students will at some point rebel, and Dewey’s model, which crafts opportunities for discovery, are both insufficient insofar as they continue to support a structure of authority or challenge that structure; in this respect both might foster the perpetuation of social conditions, as the child grows in expected or allowed directions. The Levinasian will break this open with a between that is also a beyond, as Katz writes: “Levinas’s project leads us to believe that radical critique of this model of education could only come from wholly outside of it” (57). But of course we are talking about education here, so this influx of novelty cannot quite come from the face of the other; at any rate the face has to take a different form—a textual form. That form, Katz argues, is something analogous to talmudic education, if not talmudic education itself. The exploration of this forms the meat of chapters 5 and 6, the first of which describes Levinas’s writings on Jewish education and the second of which describes Levinas’s use of the image of teaching in the philosophical works. Katz shows absolutely convincingly that Levinas was always thinking about the problems of education, from his earlier works to his last. This is not surprising when we think that, as Katz reminds us, for much of this time he was director of a Jewish day-school as well as a working philosopher; and yet it is not usually, if ever, taken into account in the scholarship. What emerges is a conception of education compatible with the picture given us by Rosenzweig in his essays on Jewish education, in which no truth is static and no dogma goes unchallenged—but which challenges truth and dogma always in the name of one who is suffering, or is overlooked, that is to say, in the name of an ethics whereby the particular challenges the general. It is a model, moreover, that calls forth a personal commitment—but to vulnerable human beings rather than to a catechism. The model, I think, is best expressed through a long quotation from Levinas. In Katz’s hands, this model does more than govern the essays on education and the image of the teacher in Levinasian texts such as Totality and Infinity. Katz shows us that this understanding of education is also there in Levinas’s descriptions of ethics: in novelty, in saying, commentary, commandment, and obligation. Of course it is clear to everyone that Levinas’s way of expressing what happens when I encounter the face—from thou shalt not kill, through the widow, stranger, orphan, to the here I am—employs biblical imagery. But, for Katz, it is not imagery alone: the structure of Levinasian ethics is modeled on the pedagogical structure suggested by yeshiva practice, by talmudic genre, and by the tradition of rabbinic commentary: in short, it is modeled on a religious tradition that values and preserves dissenting opinions, and turns away from the closure of decision. And that ethics can return the favour by reshaping our conception of education! The textual other, which is also the trace of God, will provide the novelty that our pedagogical theorists know they need but cannot locate. Under an education invested with these ideas, we can come together in a community concerned with what the Jews call tikkun olam, repairing the world. That is one sketch of the argument that frames the text, forming chapters 1, 2, 5, and 6. Other sketches are possible. Please do not assume that I have done Katz justice here; I have omitted many ideas. But it is this set of ideas that opens for me two critical questions. The first question treats the Talmud. Ever since Stern and Eilberg-Schwarz’s critiques of the work of Susan Handelman, the conception of the Talmud or the talmudic way of thinking that Katz is working with here, has been called into question.5 To my knowledge one of the strongest and most recent of these attacks is made by Daniel Boyarin in his Socrates and the Fat Rabbis, one of the thrusts of which is a backlash against the idea of Talmud as a repository of otherness on the basis of its inclusion of dissenting opinions. Interestingly, Boyarin attacks this understanding on the ground where it might be thought to be strongest. He writes: “By insisting that all sides in the debate are correct [the Talmud] completely vitiates the power of genuine debate and dissent”; the Talmud eschews a genuine pluralism based on the idea that no one is ever completely right, in favour of an authoritarian insistence that no one is ever completely wrong, “as long as he . . . is in the right institution.”6 Here the purpose of the Talmud exists in large part to boost rabbinic authority, and the talmudic attack on truth appears as a tool of that boosterism. I understand that it does not really matter to Katz whether the conception of the Talmud she’s using is warranted, as long as it works. But Boyarin’s point is that it does not work: the more you validate dissenting voices, the more people have nothing to hold onto except the institution. Indeed, a connection can be drawn between Boyarin’s conception of this problem in Talmud and the Fish/Arendt educational model. If it is true that valuing dissenting opinions leads to a reliance on institutional authority, then it is also true that a pedagogy based on valuing dissenting opinions will lead to the perpetuation of the normative structures of authority, and thus social pedagogical stagnation—a stagnation which is perhaps evident among many of those people in the world who do, in fact, spend their days reading the Talmud. The solution might be to go back to Fish and Arendt’s idea of a classical education: give the students the ideas in books that do contain strong opinions, and let them agree or dissent—thus facilitating a growth defined by readers and students rather than by texts or traditions. My second critical question involves the relationship between Bible and Talmud. At one point in “Useless Suffering,” Levinas suggests that the Bible can be read as supporting a theodicy, that is to say, as supporting the idea of a divine providence that rewards good and punishes evil.7This, of course, is an outlook anathema to Levinas’s ethics, and one of the reasons he turns to the talmudic texts, which, as he points out in several of his talmudic lectures, call this outlook into question, perhaps replacing it with a difficult humanism, a difficult freedom. In chapter 6, Katz gives a list of three reasons we need to read the Bible with rabbinic eyes, and I would add to this list that the Bible is filled with moral certainty and moral promises, all of which are challenged or reined in by the rabbis. But, I also think that among the bad accounts of ethics that Levinas criticizes, there are others besides providence or theodicy. Any idealistic or utopian sense of mission connected to a community makes him very uneasy—in the same way that such things make Adorno uneasy, or Derrida: the schwarmerei of the shoulder to shoulder is scary after Auschwitz. One cannot replace the providential hope that God will save us with the progressive hope that we can come together and save one another. Thus I would question Katz’s allegiance to tikkun olam, and her linking of tikkun olam to Levinas. To my knowledge, it is a phrase Levinas never uses. Here I am beginning to try to redraw the lines of battle: it is not just me, Fish, and Arendt against Katz and Levinas. Levinas himself is likely to stand on this question with Fish. Save the world on your own time. Or maybe just stop saving the world, and read a book. Does educational policy in the Western world—educational policy in the United States let’s say—need a Jewish Levinasianism? Perhaps it is worth trying. And parts of Katz’s argument, for instance a discussion comparing theories of brain development to methods of talmudic reading, are intriguing. But I continue to take my stand with Arendt and with Fish, and what is more, to see a certain compatibility between their educational policy and Levinas’s thought. Arendt and Fish call on us to read new books and also old books, preferably in their original languages, in order to understand what it is in them. There is an allegiance to the plain meaning here—the pshat, as Jews say—that is enormously attractive in an era in which to read without an ideological lens is to commit a kind of social heresy. And to read this way is to be confronted by the strange, or by the other. In chapters 3 and 4, we find an argument analogous to and to some degree supporting the larger frame, to the effect that Levinas’s ethics doesn’t quite work without Judaism, or indeed, without God. It is a contentious matter, and one on which Katz has much to say that is of interest. I want only to pick up one strand of her multivalent thought: the question of whether the responsibility that arises in the ethical encounter is subject to philosophical proof or phenomenological demonstration. As Katz notes, when Levinas is asked in an interview if he thinks there are people who have not felt the call of the other he says no.8 Everyone has been formed by the phenomenological structure that is at the centre of his thought. But of course many people see this claim as dubious. Katz traces the problem to a normative element in the ethical encounter. It is plausible to hold that people are struck by alterity, but very difficult to defend the idea that they shoulder a responsibility as a result. And Levinas does, of course, connect a responsibility in very clear terms to the encounter. It is impossible, he says, to pass the other by without acknowledgment, to which Katz responds: “Is it really?” Or: one must approach the other with full hands, to which Katz responds: “Must one?” This is the door through which education will enter the Levinasian ethical: moral education, and, unsurprisingly, moral education based in the kind of Judaism I have been describing in Katz’s name. Katz’s analysis of the encounter rests partly on an interesting argument made recently by Steven Galt Crowell, who, to be brief, suggests that Levinas owes something of his description of the encounter to Sartre and particularly Sartre’s account of how we experience shame when we are looked at.9 Katz notes, though, that while this is useful, it is not a full explanation, since although shame certainly points toward a norm, it does not explain the origin of the norm. As in Rousseau, where “while our aversion to the suffering of another is natural, how we respond to that suffering must be taught—or cultivated” so too in Levinas “the subjectivity he describes is one that will be taught” (91). In other words: whence the norm that gives rise to our shame? From moral education. Now, in one sense, this seems to me uncontroversial; in another sense, though, I think I disagree. Certainly in or after the ethical encounter, I have to decide how to respond, and that thought involves the reentry of various totalizing rubrics that have been ruptured by alterity. How could it be otherwise? I cannot speak to the English other in French; I cannot feed the Muslim other my pork. I have to calculate what to do, and at the same time as I am asking, “What do you need?” it is also true that a moral training will come into play in my response. In fact Katz has led me further in my acknowledgment of the place of moral training in Levinas’s thought; she has unearthed several compelling quotations in which he says that children have to be raised to be sensitive to the suffering of others, and that such training will enable them to “swim against the cultural current” (121). But in my reading of Levinas, none of this touches the ethical encounter itself, where I believe he does intend us to understand that I am not only eviscerated but also shoulder a responsibility, one that is shapeless until I return to totalizing thought but that is nevertheless infinite. And I see the proof of this in our very hostility to the other’s difference. For why, faced with difference, do we feel hatred? Why do we not simply walk away untouched? Our hostility, if that is what we feel, is evidence that underneath the encounter is an uneasy sense of obligation. I owe you. You are in some way better than me. That is why I have to kill you. Violence can only aim at a face. All of this is in Plato. When Alcibiades breaks into the drinking party, he says of Socrates that only before him do I feel shame. And he adds that the shame persecutes him, to the point where he has known himself to wish Socrates dead. In the Apology, Socrates works with the same structure: he has shamed the men of Athens, by showing them their lack of wisdom. This was a call to them to be better, be wiser, but instead of taking up the call they have turned their shame to hatred.10 This Socratic sense of the way ethical responsibility develops in relation is, at least arguably, the precise sense that Levinas universalizes—at least so I might say following Crowell. Faced with the other I am ashamed; this shame points to the fact that he is better than me; I know I must respond ethically and infinitely; knowing that annoys me; I react with hostility—the hostility that is the proof that all of this has come to pass. All of this means that my shouldering of responsibility is accounted for by the phenomenology itself. Responsibility happens in the encounter with the other; it passes there without a sense of morals, than which it is more fundamental or original. It is only when I have to consider a practical course of action that I have to turn back to whatever moral training I have. Another way of putting this might be by way of an argument against Katz on a straightforward matter: the question of whether Levinas’s ethics is normative or descriptive. Katz makes a strong claim that the ethics is normative, where I see the ethics as a description of a norm. When Levinas says, as Katz quotes, that “before the face of God we must not go with empty hands” (102), I do not think he is telling us what to do. I think he is describing what the other has made us see that we have to do. Katz points out several times that you can’t become Levinasian by reading Levinas. But I do not think this means you have to be raised to it. I think it means you already are it. So, when Katz writes that “for Levinas, philosophy and phenomenology have their limits. . . . For the rest, or for some ideas, we might have to turn to religion” (91), I would say: maybe. But that turn, if it must be made, has nothing to do with an insufficiency in the account of the ethical encounter. It is true that at least one of Levinas’s accounts of Jewish education is analogous to his account of the ethical encounter, and this is the account in which education rests on doing before hearing, on committing before understanding. But I believe this to be a fruitful correlation, not a substitution. Otherwise Said . . . It is possible that Katz and I have no argument, but are simply speaking slightly different languages. When she says that “it is clear in [certain of his] essays that religious inspiration—specifically Judaism—is equivalent to the possibility of seeing the face of the other” (113) maybe she means the same thing I might, in a fey mood, phrase by saying that seeing the face of the other is equivalent to Judaism. The question is put by Derrida in his final essay on Levinas, “A Word of Welcome”: What is Levinas talking about when he talks about Judaism? Sinai, or the face?11 The answer of course is one, or the other, or perhaps occasionally both: Judaism, for Levinas, is sometimes an aspect of the human and sometimes a tradition—a history, a family—that shaped him, and that he thinks is good for the world, and at other times he plays with the two together. So the difference between Katz and me might come down to which of these we choose more often. I see Levinas’s Judaism as a description of the human condition more than I see Levinas’s description of the human condition as a Judaism. That Levinas might be “nudging everyone toward being Jewish” (123), I find a distressing thought. It is also possible that everything in this book that I have raised critical questions about is actually heuristic hyperbole. If many of the strong claims Katz makes are overstated, if we have to accept that each claim is, say, 80 percent true, this remains a book that it is impossible to pass by, one that will reform our understanding of what Levinas can do. Let me first turn to Oona’s comments. So, first, Oona is correct both in how she outlines the two arguments and her claim that they are not contingent or dependent on each other. They are separate claims—one internal to Levinas’s project, the other helping me to think through what a different approach to education might look like. Oona begins at the beginning, with my discussion of Fish and Arendt. They are at the beginning because the first task I had was to dispense with the view that the humanities could accomplish what I am arguing Levinas is trying to achieve. Let me clear—I love the humanities and I have been known to argue that the humanities make us better people. But I stopped doing that for two reasons. First, because I do not think they do make us better people. And second because my definition of better most likely conflicts with the definition of “better” that is held by the majority of people who sit on the Texas A&M Board of Regents. In the first case, the argument that they make us better people—I believe we are promising something the humanities cannot deliver and thus setting them up to fail; in the second case, if the humanities could deliver, my board would find that horrifyingly scary and would probably shut down humanities education as soon as possible. The second is a pragmatic choice; the first is a philosophical position. This particular chapter in my book focuses on the first, but not without considering the second. And I think the second is important—if for no other reason than it raises a question about what we do in the classroom—am I teaching philosophy or dogma? And here, I follow Fish—though even Fish backpedaled in 2010 when the humanities were really under constant attack. He moved away from the view that promotes the strict pleasure that they give us. In theory, I agree with Hannah Arendt that if we teach toward a particular goal we shape our students such that we also limit their freedom to become who they wish to become. That said, I think it is disingenuous to do otherwise. She promotes a classical German education in the spirit of becoming a German citizen who is well educated. One is shaped by language, by what one reads, by how our parents raise us, etc. While I agree with both Fish and Arendt, that to promote a particular political position in a classroom is ethically suspect, not to connect the formation of a citizen within a particular polis is also to be ethically and politically irresponsible. We live in a democracy and that entails being able to vote on policies that affect us and other people. Not to orient the educational system so that people are not only able to engage thoughtfully but also have the will to do so strikes me as irresponsible. Additionally, academia is itself political—and Fish’s denial of this betrays his overall bad faith. I don’t need a women’s studies treatise on Plato or Aristotle to raise the question about the role of women in the Republic or who were the slaves that Aristotle includes in the polis. These texts are already politically charged. As is academia—our need to protect academic freedom and tenure; the discussions about trigger warnings and guns in the classroom. It is simply bad faith to think that higher education exists in a vacuum apart from the political issues that concern us. 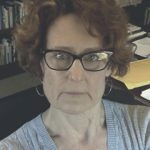 In a lapse of judgment I managed to run for the faculty senate because the aims of shared governance, of being vigilant about our profession, all of these concerns that populate the website of the AAUP—founded by John Dewey—remind me, as it should remind all of us, that our profession is anything but apolitical. But moving on . . . I don’t know that I can do anything other than concede Oona’s point about the Talmud. But I think I would say in response that her criticism might be undercut by Levinas’s approach to the Bible—and for that matter also the Talmud. Oona says that I understand the Bible’s sole task to be “to teach us to be responsible for the other” (135). I don’t know that I believe that as much as I believe Levinas believes that. I actually had to get my book to see if in fact I said I believed that! That quote is part of a larger discussion precisely about why his quotes from the Bible carry a different weight for him than his quotes from other literary sources. I can see how Oona would attribute this position to me—but this is a restating of what I take to be Levinas’s position. But let me explain how I think this works for him. I believe that he believes that underlying all the stories, is one non-negotiable idea: that we are directed toward the Other and that it conveys this message by “modeling” a responsibility for the Other within its narrative; it then requires us to engage with the text as if it were an Other. Thus, what we are to do, what specific actions we are to take are for Levinas conditioned by that one non-negotiable—that we are responsible for the other and yes, we are supposed to do something. Now we can disagree about whether that is in fact what he believes, but I think there is textual evidence for my claim. I think Levinas puts these together to form an ethics-politics relationship. The Talmud also does not tell us what to do. But I think he believes the Talmud teaches us to be more sophisticated, more nuanced in how we consider what to do. I do think Levinas is saying precisely the opposite of Fish’s Save the World on Your Own Time. I think Levinas thinks there has already been too much of that. The last part of Oona’s comments is the most complicated and it’s what has gotten me in hot water with other Levinas scholars. I don’t really know what else to say except where the hell does this claim of responsibility come from and is it really enough—for Levinas? Or for us?—to say that all his project is saying is that we’ve been interrupted by this responsibility but so what if we do anything about it? Do I think there are problems with rooting this in a religious tradition? Of course. But I also think that making it sound like it magically comes out of somewhere is just as suspect. And so I think this is where Oona and I might part company—I don’t think we already are that subjectivity. I think we need to be raised to be it. I think this is the point of the epigraphs in Otherwise than Being—and these epigraphs have been helping me think through precisely where for example Levinas and Adorno might part company on education. Even students who haven’t read any Marx can have an implicit romance with the sentiment behind the last of his theses on Feuerbach: “Philosophers have only interpreted the world, in various ways; the point is to change it.”1 When teaching Levinas, I have found that while students can be dazzled and moved by Levinas’s analyses, they are also suspicious that Levinas was not the radical that they want him to be. They read Levinas looking for concrete norms, but norms are not easy to find in Levinas’s philosophical writings. Diane Perpich said this best, I think, in her Ethics of Emmanuel Levinas: “The other does not give me rules or principles that will now constrain or guide my action. The discourse opened by a face only obliges me to more discourse, to the practices of giving and weighing reasons and of doing so without taking my own ‘reason’ to be the gold standard.”2 So I imagine students asking me ever further variants on the questions they have asked me before. More discourse? Really? Is that it? Not even a tiny bit of casuistry? Fine, fine, we are fundamentally responsive . . . but how should we respond? And I imagine letting them down, again and again and again. As a result, the practices that guide one’s action are not ahistorically good or right; they have everything to do with the determinate norms that exist within a culture at any given time. One cannot prove their correctness. Because we cannot land on correct maxims of action through the use of our reason, we receive those rules from those around us. We are taught. And we are dependent upon those who teach us. This means that Levinas is always and everywhere a philosopher of education, even when he is saying nothing about concrete curricula or even educational theory. In articulating Levinas in this manner, Claire Katz’s Levinas and the Crisis of Humanism shows not only how to read Levinas better, but also that reading Levinas is never enough. Reading Levinas should take us back to those environments in which we learn how to act. In analyzing those environments, we give a concrete shape to the abstract meringue that is Levinasian ethics. Katz makes this point about the limits of philosophy when she writes the following: “The Other as a source of my life, that is, the fact that my life is a life only because of an Other, does not imply an ethical relation unless one assumes a kind of covenantal faith.”6 These last two words are taken from Michael Fagenblat’s book A Covenant of Creatures, and are specifically about Judaism.7 But I want to push that small element aside, and interpret Katz’s words in the following manner. Because acknowledging the primacy of the Other does not guarantee that I put that acknowledgment into practice, ethical relations require some kind of membership in and a commitment to a local community in which certain practices are said to produce the good (or at least make and sustain that community). Let me be somewhat hyperbolic. Ethical relations require putting the Levinas book down and walking the [expletive-deleted] away. Or maybe to say that is not to be so hyperbolic. Katz writes something similar: “I wish to warn against the assumption that one becomes ‘Levinasian,’ whatever that means, or ethical in the sense Levinas describes, by reading or even understanding Levinas’s books” (161). In other words, Katz shows us that we cannot talk about Levinas unless we talk about virtues. (This is why the Jewish writings are so important for her: they represent the ways in which a commitment to holiness can takes us beyond merely uttering facts about the primacy of alterity, so that we indeed act for others.) The irony is great, even delicious. What Katz has done, in effect, is to show her readers that one of Levinas’s most important conversation partners is Alasdair MacIntyre (even though she never cites his work). We will not be able to talk about Levinas again without acknowledging that there is a relationship between Levinas and virtue ethics, and that this relationship involves acknowledging the limits of intellectual labor. As Katz writes, intellectuals “are able to remind us of the cracks in our civilization. . . . But our mistake lies in asking them to act as moralists and repair the structural defects they identify” (120). The academic practice of philosophical questioning does not produce answers; answers come from the norms of a community that is other than the community of intellectuals. The fact that I have just mentioned Alasdair MacIntyre may frighten those readers who believe him to have a very static, or a very traditionalist, notion of what traditions are. Whether or not such an impression of MacIntyre is correct, this kind of worry about the dynamic between intellectual life and local communities—for Katz, Jewish communities in particular—is something that I want to endorse. After all, traditions are passed on through the mediating structures of institutions. In those institutions, there are some people who hold more power than others, and the more powerful people seek to determine the meaning of religion for less powerful people. So if Levinas was a thinker who argued that we are dependent on the norms of our non-philosophical communities for ensuring that our disposition to engage in ethical actions actually performs itself in acting ethically, then it may be the case that Levinas is a thinker who tells us that ethical action requires a more robust heteronomy than we might think. Perhaps we are tasked not simply with acknowledging the command of the face that proscribes killing, but with acknowledging a whole bunch of determinate commands that others might deliver to us, telling us—who do not know better—that these commands will lead to virtuous acts. It is in trying to solve this problem—the problem in which the limits of philosophy entail a glorification of weakness in the most prosaic (and therefore the worst) of senses—that Katz finds a resource in Judaism. Because Jewish learning, for her, is always already midrashic learning. One of the norms of the tradition is a norm that says that the tradition is flexible, that it is always in the making, that Torah “is very close to you, in your mouth, and in your heart” (Deuteronomy 30:14), that it is, in a radical sense, divine because it is human. (Nothing that Katz argues in Levinas and the Crisis of Humanism forestalls such Feuerbachean readings of Katz, or of Levinas.) For Katz, the past changes as a result of being applied to the present (157). I would only add that Levinas’s radical notion of transcendence—in which God cannot be expressed in conceptual language—requires a model of religion in which teaching always requires commentary as a way both of acknowledging the difference between word and God (God’s word is not fixed and can mean multiple things) and as a way of denying the difference between word and God (because God’s word means at least these multiple things, propositions a, b, c, d, etc.) As a result of midrash, in which tradition becomes open, accruing layers of commentary over the centuries, it becomes impossible to equate a dependence on a local community with powerlessness. Rather, it is in dependence on a local community—learning the norms of Judaism (including the norms of proper study)—that the power to intervene in a tradition is found, because the local community has given us a language to express our desires, and a pattern of inferential reasoning by which we might successfully persuade others that our desires are worth satisfying. It is nonetheless the case, as Katz points out, that any such creative power is nonetheless situated within a framework of commandedness. This raises the issue of how creative, or indeed how powerful, such creative power really is. I am no midrashist, but it seems to me that there is a difference between the following three uses of midrash: (a) midrash being used to understand the meaning of a practice differently than others in my community do, (b) midrash being used to justify a practice as in various halakhic midrashim, in which legal norms are justified through midrashic reasoning, and (c) midrash being used to challenge a practice. The first two are well-evidenced in rabbinic literature. The last—the kind of midrash about which Katz cares most—also appears in rabbinic literature, although it is usually to narrow the permissibility of acts (e.g., the gezerah, the “fence around the Torah”).8 What I am trying to suggest is that the leeway given by midrash is something that generations of interpreters have to negotiate. It is not clear to me that midrash necessarily creates concrete freedoms, although it certainly has created hermeneutic freedom. Similarly, It is not clear to me that midrash embodies responsibility to others, although I do think that Katz’s argument that it might embody such responsibility is correct. I suspect that Katz would respond by saying that I should think more about the purpose of comparison: about the desires of the scholar who makes the comparison, and about the narrative arts by which she communicates her desires. For comparison is a way of interrupting language-games and reorienting an audience in a way that allows new possibilities to emerge in educational settings. This is what is important; narrating some kind of similarity takes precedence over arguing about exactly how much or how little similarity there is. Such an answer would go far. This is because the narrative voice of her book is like the narrative voice of Levinas’s writings. The person doing the comparison (Claire Katz) uses a mix of philosophical language and the language of a local community—in this case Judaism—to show why her desires to increase ethical actions should be fulfilled by the community at large, and to show why such a mix of languages can lead to those desires being actually fulfilled. Invoking those languages gives those desires force and power. This is the function of comparison. It is also one of the functions of midrash, even if a comparison does not itself have the formal structure of classical midrash. To compare, then, is to express a desire for power, and a desire for the power to transform others. But I hope that it is not churlish of me to make the banal point that power is always exercised on someone. Many of those reading Katz’s book (or this commentary) are, or hope to be, teachers. Even in states like Texas and Florida where budgets for higher education are being cut, teachers are not powerless. They may be powerless with respect to their legislatures, but not with respect to their students. If education is to proceed in the spirit of midrash, then one needs to think about how we teachers can create spaces in which midrash can occur at the same time that we exercise power. The example of the dual-language program shows that Katz believes that certain curricular models can produce vulnerability in teachers and students in ways that inculcate ethical practices. I think I understand that when it comes to the students. But for the teacher, the task is one of producing power as vulnerability. I have certain ways I do this in the classroom. I demand that students interrupt me (but not my colleagues). I regularly offer my interpretations of texts only as hypotheses for students to challenge. I make regular references to Britney Spears to show that I am not taking myself too seriously (and also to teach my students that “Britney Spears” is an anagram of “Presbyterians”). I am still a novice at thinking through how a certain kind of vulnerability is a power that can empower, and thereby transform, my students. To think further about strategies for such action, as Katz teaches us, entails putting the Levinas books aside. I should say first that the dual-language program did not in practice do what it claimed to do in its promise. But even in its practical disappointment, I believe that the dual-language program offered a structure for education that radically departs from how we structure education, particularly, public education, today. The most significant component of the dual-language program is the partnership and then the dependence that is created by that partnership. If this works as suggested, then education becomes synonymous with community, with learning with others rather than against or in competition with them. Structurally, education changes fundamentally. Again, if even part of this pedagogy works, then the children who participate would learn that they are reliant on each other and they are responsible for each other—and their responsibility is significant. Their partner is relying on them. It is not midrashic or Talmudic in the way that these texts are approached within the Jewish educational tradition. As such, it is not the case that learning Spanish is reliant on a partner. But it is the case that the education, the learning of Spanish, has become tied to an ethical dimension and that is what I wish to stress. In other words, the conventional approaches to teaching either Spanish or “character” education do not link these together. First, I am opposed to character education as it is traditionally taught—as neat and clean and not messy or difficult. But even if I were to agree with a particular approach to teaching ethics, they would most likely not be tethered to intellectual development. It is this dynamic that distinguishes Talmudic education and that could distinguish something like the dual-language program. The question I have is could there be other ways to replicate this structure. Levinas and the Crisis of Humanism by Claire Elise Katz is, among other things, an argument that Emmanuel Levinas does in fact engage the political in his work, but does so by describing the type of education that will enable us to become ethical.1 Central to becoming ethical, according to her, is the production of ethical subjectivity. Since much of Levinas’s discussion of education concerns Jewish education in particular, another important strain of Katz’s discussion of Levinas’s engagement with the political is explaining why Levinas specifically discusses Jewish education and how the discussion of that specific type of education relates to Levinas’s more general philosophical writings—the writings that Levinas calls philosophical and contrasts with those he calls confessional. Her answer is that, since Levinas does not think one becomes ethical by reading writings on ethics, something else is required for the achievement of that goal; that Levinas thinks Jewish education, as he conceives it, is that something else, at least for Jews; and, that some other education similar to Jewish education as he describes and understands it might fulfill the same function for non-Jews. As Katz points out, her approach therefore conceives Levinas to be like Aristotle. For Aristotle, though the goal of ethics is to become good, we become good not by learning about ethics but through habituation which he understands as the doing of acts like the acts one wishes to acquire a settled disposition to do. Aristotle’s concept of “settled disposition” or hexis (or, more accurately, a settled and evaluatively directed disposition) is similar in some respects to Katz’s idea of ethical subjectivity. In each case, there is something a person does that tends to result in an internal change called a change in disposition for Aristotle and a change in subjectivity for Katz and Levinas. Katz’s argument, in addition, follows Levinas in arguing for a Jewish education that centers on the study of Talmud and Midrash since such study is seen to cultivate ethical subjectivity. I would add to this that Levinas’s argument, as Katz understands it, is like Aristotle’s in another way, namely, that it conceives the production of ethical subjectivity, as she calls it, to be a component of the political. Ethics is a part of politics according to Aristotle, and, it appears, according to Katz as well. I would also add that Katz’s argument on behalf of Talmudic/Midrashic education shares some features with postmodern appropriations of Talmudic/Midrashic ideas in recent philosophy, critical theory and literary theory—especially due to the plurivocality found in Talmud and Midrash, though Katz importantly and interestingly contributes to discussion and practice of such appropriations an argument that Talmudic/Midrashic interpretive activity and culture is, or could be, central to making people ethical. I find Katz’s book an enjoyable read throughout as well as fruitful for thinking and rethinking Levinas’s whole body of work. I read Levinas somewhat differently than Katz does, perhaps because of different starting points and different emphasized texts. When I read Katz’s book, I find myself reading specific sentences and stopping repeatedly to think about how the claims in them affect my own readings. On the one hand, I often note similarities between claims made in Levinas’s philosophical writings and aspects of the Hebrew Bible (Torah) or Jewish liturgy, etc. For example, I think the de-emphasis of the glory of the infinite in Otherwise Than Being is similar to the de-emphasis of glory and immanence in general in Jewish thought and practice: it is there, but deemphasized, due to the problem of idolatry. Or, for another example, I think Levinas’s notion of truth is close to the idea of emet in Torah (as Heidegger’s notion of truth is close to the idea of alētheia in ancient Greece): emet can mean either truth or faithfulness where faithfulness, I believe, is akin to the ethical in Levinas. What Katz’s book adds to my reading, though, is a more concrete connection between Levinas’s philosophical writings and what he talks about in his confessional writings, namely, an answer to the question Meno asks Socrates at the beginning of Plato’s Meno, namely, whether virtue is teachable or, if not teachable, comes by practice or by nature or in some other way (70a). In other words, though Katz’s book is on education, it is also a contribution to philosophical discussions of virtue, that is, to so-called virtue ethics—specifically, to the branch of virtue ethics that treats the question how virtue is acquired. Another way to think of what Katz is doing—or, here, really, it is what Levinas is doing—is that it is a kind of apology or defense of the Talmud, that much-maligned book or set of books that was almost completely physically destroyed by non-Jews in Europe not so long ago. The defense is that Talmudic and Midrashic reading practices are not a type of nitpicking legalism but instead practices that accomplish ethical subjectivity since Talmudic and Midrashic texts are plurivocal and, in addition, always signify more than they say (142): “The text will always have more to say,” Katz says, “and its saying will always engage me with the Other. Language becomes the coordinator between myself and the Other” (142). Talmudic/Midrashic reading practices teach us excess—excess in the text and the excess that is the other. Add to that the fact that the voices in the text come from various persons and periods, and the text teaches community as well. Plus, if you add the fact that Talmud study itself is social—done in pairs or groups—then we get a teaching of human dependency, too. I cannot read the text nearly as well by myself as together with others. Finally, add to that the fact that the texts are themselves about ethical matters and feature flawed human characters, and you get a unique text-and-textual-practices set designed to teach and cultivate ethical subjectivity. Katz emphasizes also that the fact that the ethical aspects of Talmud and Talmud study are the universal components of it belies the idea that such study is fundamentally particularistic because it is Jewish. At the same time, she points out that there is a particularist exhortation by Levinas to Jews not simply to echo their Western surroundings but to take the lead. Western culture and philosophy is veiled Christianity, she takes Levinas to say, and not Judaism. Judaism has something important to add that Christianity does not contain, despite other similarities—and it is contained in Talmud/Midrashic text and study practice. Thus, Levinas’s interest in Jewish education can be seen as an effort to revive Jewish practice after the massive destruction of European Jewish life and culture in the twentieth century and, at the same time, as having a universal component since it is about Talmud and Midrash as vehicles for imparting ethical disposition. I am broadly sympathetic to what Katz and Levinas are doing as I have described it so far and want to continue in what follows briefly to raise some issues—primarily issues for Levinas or those influenced by what he is doing—just to see how Katz might respond to them, on the assumption that the issues I raise, and others similar to them, are ones Katz likely has already considered. First, I am wondering about Levinas’s somewhat mono-dimensional emphasis on study as the tool for inculcating virtue or developing ethical subjectivity. One could argue that halakha or Jewish law is just as central to such development—and here I mean halakhic practice not halakhic study. A person who recites “reshit chokhmah yirat adonai” and “v’ahavta l’reacha kamocha” every morning (“the fear of the Lord is the beginning of wisdom” and “love your neighbor as yourself”), and who wears a kippa and does not work on the Sabbath, is developing ethical subjectivity, it seems to me—subjectivity that involves humility and concern for the other as the older term for skullcap indicates: yarmulke, i.e., fear of the king or God. Second, Talmud rarely mentions a woman teacher, and therefore is rather sexist. I do not need to say much about this, as I am sure Katz can fill it in if she wishes. Third, there is a shift from “a light” to “the light” in the exhortation that Katz mentions Levinas making to Jews to become a (or the) light unto the nations. If it is “the light unto the nations” (149), then I think someone could charge Levinas with chauvinism. If it is “a light unto the nations” (165, 166), such a charge can be avoided. Fourth, Katz’s book emphasizes Levinas’s Totality and Infinity but also emphasizes responsibility. I think that Totality and Infinity does not center as much on responsibility as it does on desire. Indeed, Katz even spells fecundity out in terms of responsibility. But fecundity is one of the two ways desire is accomplished according to Levinas. It is accomplished in two ways, he says, through the face-to-face and through fecundity. I wish scholars would bring desire into their discussions of applications of Levinas more and not focus so exclusively on responsibility. I worry that too much emphasis on responsibility betrays a certain self-ignorance or smugness. In this respect, Derrida’s deconstruction of the ethical is correct in the idea that the ethical involves the unethical, for example, the ethical as openness cannot exist in any concrete way unless some closedness is involved since utter openness would lead to ineffectiveness. More discussion of Levinas in terms of desire for the absolutely other would soften Levinas’s approach, then, since it would indicate that we cannot be utterly concerned about others. Fifth, though I think Katz is right that Levinas’s discussions of education can be seen as part of a discussion of the political, we could still ask what a Levinasian politics would be like in other respects. What kind of regime ought to accompany a Levinasian ethics in our time, for example? Also, what kind of economy? Sixth, so much of this book is about knowledge that I think the Levinas of Totality and Infinity, who argues for a form of relationship to an other that is not a type of knowledge, consciousness, or intentionality in the ordinary sense, is left out. Of course, it is clearly a book about education. At the same time, though, it is a book about developing ethical subjectivity. Ethical subjectivity, for Levinas, is as much about what he calls “reducing” knowledge claims as it is about engaging them. Seventh, the critique of Western thought for its emphasis on freedom and the self is, in my view, more a critique of modern Western thought than of certain strains in ancient Western thought. I discuss this in my book on Plato and Levinas.3 The discussion of Socrates in Katz’s book is, in my view, too abbreviated, given that Socrates teaches a kind of humility or awareness of ignorance. Overall, I found Levinas and the Crisis of Humanism to be a stimulating and enjoyable book that is very strong on how Levinas responds to the perceived crisis of the modern west. The book pushes us to read Levinas as a whole, not bit by bit, and to expand our ideas of how he is political. Moreover, it gives us a lot to think about for the present on how to produce ethical subjectivity today, in our own fraught times, as Levinas thought about that question in his own difficult times. To conclude, I want to quote a sentence from the book: “The majority of education is set up,” Katz says, “so that children hoard—everything from pencils to knowledge” (162). When I read that sentence, expressing what Katz finds compelling about Levinas on education, namely, his effort to conceive an education in which the ethical component of what is learned is responsibility rather than hoarding, I think of ways to change my approach to my own courses. Perhaps because of a certain giving quality in her writing, not to mention in her general approach to philosophy and to others, I find myself as a result of the book reconceiving numerous matters. I experience the book, in other words, as both a calling into question and as a gift, that is, as itself containing the two central components of ethical experience as outlined and described by philosopher Emmanuel Levinas. Like all the others, Deborah Achtenberg’s comments were also insightful—and focused on what needed more clarification. Where most of the other scholars write from a contemporary perspective, it is worth noting that Deborah’s work in ancient philosophy, I think, helped give her a unique angle from which to approach the book. I am grateful for these insights. Deborah writes her responses in a series of questions or comments that make it relatively easy to respond back—and so rather than reproduce the points she made, it will be easier for me to respond to each one in turn. I don’t think Levinas’s approach concerns only study. If it did, he could just as easily return to the classical humanities education. Rather, it is about practice, but practice in a particular kind of way—the way that the partnership is formed for example, hence my example of the dual-language education, the performance of the midrash simply reinforces rather than running contrary to the kind of practice we want from our students—or children, as it were. Yes, but then it lacks the potential universal appeal—rightly or wrongly, Levinas sees midrash and Talmud as emphasizing something similar: the muted voice, the recovery of the other, the community, and so forth. I don’t think simply practicing the law does that—one could practice, theoretically, by oneself. That is not what he is after. Yes, no question that gender, and in particular, sexism is an issue if we replicate Talmudic study as such. I use Talmudic study as an example—not to say that we should return to the Talmud and the original iteration that leaves women in a secondary status. It should be noted that one of Levinas’s first acts as Director of the ENIO was to integrate the school and bring the young women into the ENIO. It could be a chauvinism; it could also be that he places a particular responsibility on Judaism—if no one else is going to do this, we better do it. This is not to say that no other community could. Let’s be clear—he is writing in response to the Shoah. Period. I think it is safe to say, there were not a lot of communities standing up for the Jews and fewer that said, come to our land, we’ll take care of you. There were no lights unto the nations. I don’t think he has much hope for there to be one—but given how he reads those texts, if there is going to be one, it’s going to be Jewish. I don’t think he rules out other possibilities—it just seems unlikely. And given the recent experience in his life, he’s probably earned that belief. We might say something different now—but I don’t know. I emphasize TI mostly because that is the primary philosophical text that has any sustained or frequent discussion of teaching. This is not to discuss responsibility or teaching in lieu of desire—indeed, I would argue that certain kinds of education are so intimately linked to desire that one cannot be discussed without the other—and here I would be sympathetic to the ancients, in particular the discussions that come out of Plato—and Adriaan Peperzak’s reading of this. I’m not opposed at all to desire—it’s just that this was not the aim of this particular book (I briefly discuss eros in my first book on Levinas).1 Rather, my aim was to try to get at what I think is motivating Levinas; how do I answer the question that my students—and quite frankly I—always have: where does this ethical subject come from: is he describing a subject that has been covered over and we just need to “get back to that” like an archeological dig that reveals something beneath the surface; or, is he describing a subject that is not yet, or rather once was, but was lost in modernity? I think this is the bonus round question—the million dollar question. There is no question in my mind that we are talking about reconceived political—a radically different political and in particular a radically different economic system that would distribute goods and services more justly than it does currently. The irony of Deborah’s observation is that I am trying to stay away from knowledge—and instead talk about practice. What are the ways that we practice education that send different messages—messages that many of us oppose? What would education look like, how would it be radically transformed if we organized our experience around responsibility to another, which, to bring this back to Deborah’s earlier concern, then drew out desire: to learn, to care, and so forth. I think Levinas sees in a robust Jewish education the simultaneous development of responsibility that does not come at the expense of the development of a sophisticated mind—both of which I think he would argue are necessary for creating a just community. Yes, I agree with Deborah’s point. I think I might not have been so clear in that early chapter—my discussion of Socrates and Plato is not about how to read them correctly but rather how they have been received. Having taught in schools of education, I can speak fairly confidently, that a certain view of Plato and Socrates is brought forward and it is not the one that Deborah emphasizes. Turning now to the generous comments offered by both Dennis Beach and Oona Eisenstadt, I realize that I have known both them, as I have Martin and Deborah, for nearly fifteen years. Dennis indicated that he hoped he was invited to participate in this symposium because he thinks with Christianity—not in spite of it. I was delighted that both Oona and Dennis were invited—mostly because I know them to be honest and smart. I expected them to push back on the book. While of course we all want praise and to be told we’ve written the best thing ever written, those comments generally make for a boring discussion. So in the spirit of provocation, I’m going to concede their really excellent points but also push back against them to see where this discussion goes. Over the last three decades (can it be that long? ), I have found myself time and again to have become Claire Katz’s student, always eagerly and with attentiveness to newfound, as well as revisited realms of understanding and wisdom. This has been particularly so in regard to following out how Jewish traditions of thought might find their way into practices of philosophical discourse emerging in the wake of the Shoah and the many other moments of colonial mania—both ecocidal and genocidal—that have characterized the worst side of the project of a perhaps all-too-Greek Enlightenment. Becoming Katz’s student has been part and parcel of a growing commitment on my part to what might be termed discursive activism, a mode of social, cultural, religious and political provocation that would cultivate sensitivity, sensitivity to the point of Levinasian obsession, to the interruption and breaking open of the Said in the approach of the other’s voice, the other’s Saying. I find this mode of activism at work in Levinas and the Crisis of Humanism. And Katz’s work, particularly in this book, has had the salutary effect of articulating the discourse of Continental philosophy not only in a Hebraic but also American idiom. Katz’s discussion in her opening chapter on the state of the humanities in education focuses squarely on the American scene as she notes how “the conversation between political philosophy and educational theory essentially disappears” 4 as one approaches the twentieth century. This disappearance, Claire argues, has intensified the current crisis characterizing American education, in which the humanities are attacked not because they are too provocative and unsettling but because they are irrelevant and of no use. This attack, I would add from personal experience, emerges from within the academy, as well as from without. Focusing on a series of contemporary responses, in the main by American philosophers, to this plight, as well as calling upon the likes of Rousseau, Dewey, Arendt, Hadot, and Aristotle, Katz concludes that the public discussion about the role of the humanities in education so far has been committed to a model of cultivating a moral subject who is, in the first instance, “solitary, rational and independent” (39). In doing so, teachers of the humanities have failed to consider how an ethically responsible subject who is oriented toward another from the ground up might emerge in the first place. In response to this lacuna, the whole trajectory of Levinas’s philosophical project—the emergence of a subject anarchically oriented toward another—can be understood to be arguing for “another education” (39) that must have already occurred if a liberal education is in turn to fulfill its promise of honing moral intuitions, of developing moral insights in its allegedly autonomous subjects. Katz’s insight takes seriously Levinas’s insistence that the ethical is always already dependent upon the meta-ethical for its context, which is to say, the ethical must first emerge as meaningful to the human subject, if that subject is then to proceed in the development and honing of her or his ethical life as recommended by the humanities. For Katz this means that the first charge of education is to provoke in one’s thinking how one is already indebted to others for one’s very thoughts and words, for one’s way of life. In working out this notion pedagogically Katz directs her readers beyond Levinas’s philosophical works to consider not only his confessional texts but also numerous essays and public talks directly addressing the nature of education. She reminds us that for a large part of Levinas’s scholarly life, even as he was writing his major philosophical works, he was responsible for directing a high school whose specific mission was to provide a Jewish education to its students. Katz’s book then is at least in part a diagnosis of the ills wrought by the exemplary status of the “solitary man,” of a subject who reasons autonomously concerning how his or her life is to be conducted, at the root of philosophical theories of education. But the largest and to my mind most innovative aspect of her project involves a positive contribution to how one might move beyond critique of the solitary man to a pedagogy of ethical subjectivity. The latter involves a practice of education in which one witnesses how in one’s very thoughts and words one is always already given over, indebted to another. And here emerges the promise of a Jewish education. At the core of this approach lies an inculcation into the practice of Talmudic study focusing on biblical texts, in which students are submitted to what Shulman terms a “midrashic imperative” (139). Through it is prescribed an interpretive practice of reading that finds itself already indebted to the multiplicity of other voices, both those that emerge and those that are suppressed, both those that are contemporary and those that arise from the past (or the future! ), with whom one must become engaged if reading in its rabbinical sense is to occur at all. But here I must make a detour to confess that precisely because the midrashic imperative directs me to attend not only to Katz’s voice but also to all the other voices, both suppressed and emergent, both contemporary and not, other teachers have also been intervening in and complicating my relationship with Katz’s remarkable text as I have read through it. Could it ever have been otherwise? And so here, yet another provocateur in discursive activism deserves mentioning. Her name is Nimachia Howe, a scholar in anthropology, education and social linguistics, whose work focuses on ways of knowing among the Niitsitapi, the Peoples of the Blackfoot Confederacy.5 As I was reading Katz’s text, I heard persistently questions in Nimachia’s voice intervening and provoking commentary within my own developing thoughts on Katz’s argument, a commentary that was in turn continually amended by Katz’s voice as it intervened in Nimachia’s intervening in Katz’s text. And in actuality, Martin Kavka’s voice and Diane Perpich’s voice, not to mention those of Sandor Goodheart, Sol Neely, Deborah Bird Rose, Deborah Achtenberg and yet many others were also in evidence. Even Isaac Basheivis Singer made an appearance, not to mention Chickasaw poet and essayist Linda Hogan. And somewhere amidst that welter of voices and their increasingly noisy commentary was the steadying tones of Levinas, as well as the polyphonic background of the rabbis, particularly Rabbi Ishmael and Rabi Akiba. And these latter two particularly as they had been offered to me through the thought of Abraham Heschel. Is not Katz’s book precisely written to elicit this dizzying response? For her text, if I have heard Katz’s argument correctly, offers witness to the very undergoing of her election and thus the constitution of her voice through the approach of the other and all the other others. And so it is as well with myself and all other readers of her book. It is a tribute to Katz as teacher and student, indeed, as a teacher who is always eager first to be a student, that the very writing of Levinas and the Crisis of Humanism is an interweaving, performed sensitively and with openness, of a plurality of voices already engaged in commentary upon one another. And at the heart of Katz’s approach, lies the Hebraic notion of midrash, both as subject for philosophical argument and as method for pursuing that argument. For the sake of these voices I am moved to ask the following question: What would it mean to demythologize the biblical text, renewing its meaning in a place under the sun, indeed, this place under the sun named “North America,” that has been usurped from others over a centuries-long imposition of colonization linked with practices that can arguably be judged as enacting cultural and administrative genocide, practices whose pedagogical methods in turn insisted on a manifold re-education of First Peoples into Western ways of thinking and knowing? And all this precisely because the stories of those who were submitted to this treatment were held to be merely myth, which is to say, discourse immersed in what Levinas among many others have understood as “magical thinking”? In what way might Levinas’s and Katz’s engagement in midrash as demythicization, which is to say, in the unstorying of the story if we translate the Greek terms into a plainer English, find a purchase in the context of the Americas? This question reverberates throughout Katz’s text, if the question is rephrased as the following: In what manner might the stories of the other claim me, intervene in my storying and destorying of them? At one level I read Katz’s text as a careful prescription of practices that answer this question by recommending a pedagogy and ultimately a culture of commentary, with Rabbinical commentary serving as its prototype. And in this mode of culture and commentary we would not only discern but also conscientiously attend to a threefold division among philosophical, literary and biblical ways of speaking, of being engaged in discourse, in which each is not reducible to the other and each calls for its own manner of pedagogical intervention. Katz’s suggestion as to this distinction is helpful—for it opens up another sort of discursive space in pedagogy that is neither secular nor mythological and in which another sort of thinking, one obsessively sensitive to the saying of the other in the hearing of all the other others, might be pursued. One pedagogical practice in this regard both explored and recommended by Katz particularly impressed me: cultivating the other’s language in the speaking of one’s own. Katz’s account of the immersion program in which English and Spanish speaking students learn one another’s tongue in the process of studying their regular subjects is a potent suggestion for further exploration. No less than this model was recently recommended to me, in rather forceful terms by Pueblo poet Simon Ortiz (and here I am going to be putting words in his mouth, since they were spoken for the most part to me in Acoma, and I did not understand them at first hearing): “If you are going to speak with and of my culture, he made clear in his translation of his remarks, please do me the same courtesy I have done you—learn my tongue.”11 Indeed, only with the other’s tongue already speaking in my own mouth can I begin to learn to step beyond my colonial assumptions, assumptions so deeply imbedded in my culture that they are entirely invisible to me even after conscientious reflection. 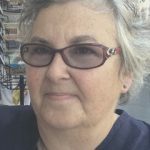 Nimachia’s own work suggests that even the study of her own Blackfoot language in the classroom is already betrayed by theoretical constructs introduced by European ears—gender, classifications of words as nouns or verbs, etc.—that keep the full force of Blackfoot stories from being heard. 12 This leads me to wonder what the disciplines of the humanities might become in which doctoral candidates were encouraged, perhaps even required, to develop language competencies in not only other than European languages but in an indigenous language as well? For Kimmerer, a plant, say sweetgrass, Heirochloe odorata, orients us to living from the ground up in a posture of reciprocity and gratitude. If we are inattentive to the gift giving of sweetgrass, indeed, to sweetgrass precisely as a gift-giver, we already have failed to be instructed in how to be responsible and so to be human. But in attending to sweetgrass’s instruction, responsibility is heaped upon responsibility. One is called upon to recognize that nothing one has is one’s own in the first place but has already been received from others, both human and more than human. Put otherwise, others are already teaching us, altering our very sense of and hold upon the world, precisely because they are offering us gifts without which we would fail to be ourselves. Here something like Katz’s notion of ethical subjectivity is at work, although differing in significant ways from the one she has sketched out in her account of Jewish pedagogy. In summary, Katz’s project opens up the capacity in philosophy for what I have termed in other places “irenical discourse,”14 a discourse in which all the other others who speak are already not only interrupting but also altering the very language that emerges in my own speaking before another. Several questions accrue in regard to thinking through the implications of this approach in the context of the Americas: First, would not place as well as text be crucial in an education that would sensitize citizens to the discourse of indigenous American cultures? Is Katz’s deployment of rabbinical commentary as an exemplary model blind to the importance of place, as opposed to text, in pursuing one’s education? As a corollary to this question: Indigenous notions of responsibility put into question the notion of an open realm of conversation between citizens that are only human. The more-than-human—which is to say not only The Most High but also all other sentient creatures—have their say. Is this possible in Katz’s rabbinical model of pedagogy? Second, how best might one understand the destorying of the story and then the destorying of the destorying of the story recommended by Levinas in his own story about his Jewish education? Is commentary like an acid etching away at story? Should we be forever impatient with and perpetually vigilant against the emergence of story in the midst of commentary? Or is story itself inherently part of commentary and in being so to be heard otherwise than as an invitation to so-called “magical thinking”? In answering this set of questions, one needs to keep in mind how profoundly Enlightenment/Christian/Secular culture has attacked the full force and significance of story in the indigenous realm. And one would need to elaborate more clearly how crucial the telling of stories remains in a culture of commentary. Third, how to pursue a pedagogy of commentary in a situation of uneven numbers with deep currents of dehumanization still at play in regard to the non-majority other? Can rabbinical commentary, which was finally a commentary among equals sharing a common tradition actually reflect the modes of difference at play when a settlement/colonial culture meets with those it has displaced both physically and culturally? But even as I leave these questions in Katz’s care, let me take this moment to thank her for a deeply thoughtful and carefully laid out account of ethical subjectivity and its pedagogy. In it Jewish practices of education have found a renewed hearing in the philosophical tradition that deserves attention. 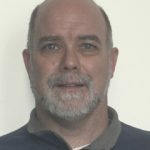 Let me now turn to Jim Hatley’s comments, it is important to state that I have been learning from Jim for the past twenty-five years when we first became colleagues at Salisbury State University on the eastern shore of Maryland. I was an instructor without a PhD, Jim, a recently minted PhD was on the tenure track. Yet he never treated me as a “mere” instructor. He never treated me as anything but his equal—as a friend and colleague. It was through Jim that I was first introduced to Levinas’s philosophical work. I had heard Levinas’s name a few times as an undergraduate—one of my UG teachers was a student of Levinas’s in Paris. But I did not read anything Levinas wrote until Jim led a discussion of a section on Totality and Infinity. Admittedly, not much stuck. But I felt like I learned Levinas more through interacting with Jim, listening to how he read and interpreted, than I did by reading Levinas directly. And so once again, I am learning from Jim again. I think many of his questions are best left to a future discussion. I do not think I can address all of them, maybe even any of them, well in a few remarks. 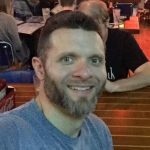 So, I think I might respond by making a few general comments that touch on all of the questions Jim has raised. Let me start with regard to languages. As I groped to find some kind of secular educational model that filled the two main requirements of Talmudic education—the development of the intellect alongside of the development of ethical responsibility, where one was actually tied to the other, not two separate processes, the kind of dual-language program that is specifically offered in Texas seemed to be the closest match. I think Jim’s question about who can engage in this pedagogy rightly asks about other sentient creatures. I think they don’t participate in it—I think that Levinas did not intend for animals to become ethical subjects, so to speak, even if they may be, to use standard analytic ethics language, ethical patients. So when Jim asks about the non-Western, non-European, I would ask in return, is he asking to have another pedagogical model considered alongside or instead of what I am proposing? That is, is it not just as strange, just as presumptuous to think that we can engage in a non-Western pedagogy—like that funny yoga video where Gandhi is eventually kicked out of the yoga class—as it is to presume that a Western, or European, or Talmudic model should be utilized by others? In other words, I think Jim’s questions raise the more general question of education—what is it and who participates in it? I have often thought of education as reproducing the world, so of course the question to be raised is whose world? As a side interest, I want to return to Jim’s provocative and even paradoxical discussion of giving what is not even mine. He says, “Nothing one has is one’s own but has always already been given by others . . .” And I am curious about this—what does it mean to give a gift that is not mine to give? That is not even mine? There’s something anxiety-producing about responding publicly, especially alongside Oona Eisenstadt, Deborah Achtenberg, and Martin Kavka, to Claire Katz’s book on Levinas, maintaining that Jewish education is the unique remedy to the “crisis of humanism” brought about by a general ethical failure in Europe and beyond.1 Jewish education is the unique remedy precisely because it is Jewish, in all the particularity that “being Jewish” entails. Here’s the anxiety: “being Jewish” is something that I do not share with Katz, Eisenstadt, Achtenberg, Hatley, Kavka, and Levinas. Not only am I not Jewish, I am something else, and that something else is not only Christian and Catholic, but “professionally” so: I am a solemnly professed Benedictine monk and I have been for thirty-four years. (Aside: I am never sure what sense that makes to people today, for whom the term “monk” conjures, something medieval and anachronistic, maybe even the head-banging procession in Monty Python and the Holy Grail or the macabre denizens of the monastery in Umberto Eco’s The Name of the Rose. But there it is: I am a monk.) 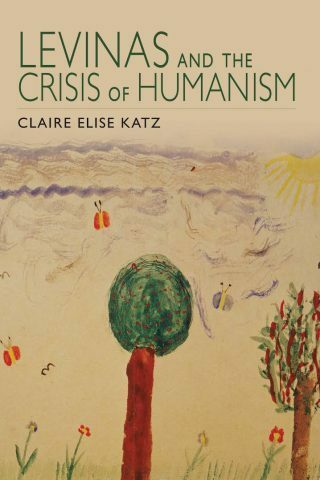 My being professionally Christian is pertinent here because the crisis of humanism about which Levinas and Katz speak is in large part a crisis of Christian humanism, a point upon which Katz, following Levinas, insists. Of course, part of the crisis that Levinas was addressing in the mid-twentieth century was also a crisis of Jewish humanism, but it was this only because Jews had, through active assimilation or passive reluctance to insist upon their Jewish particularity, more or less ceded the space of humanism to what the Christian-spawned Enlightenment said it was. And this turned out, in Europe at mid-century, to have been an ethically catastrophic mistake. I am not going to contest Levinas’s general verdict. Of course, Katz (and others) already know the secret of my monkishness and I have to believe I was asked to respond not in spite of but because of my commitment to religion, to an other religion. I say that with gratitude, since I have to believe also that Katz sees me as not only a sympathetic reader of Levinas, but as a reader who will ask hard questions if they need to be asked. This is after all what Levinas understood philosophy to be. “Philosophy is the philosophers in their intersubjective «intrigue», which no one unravels, but in which no one is allowed a lapse of attention or a lack of strictness,” he writes in the essay “Philosophy and Awakening.”2 This also appears to be what Katz, with Levinas, understands to be the sine qua non of Jewish education—the Talmud: instead of philosophers it is commentators across the centuries “in their intersubjective «intrigue», which no one unravels, but in which no one is allowed a lapse of attention or a lack of strictness.” Claire argues, again with Levinas, that it is precisely this Jewish particularity—not a few isolated sacred texts, but the wonderful polyphony of the Talmud—Torah, Mishnah and Gemara all conversing and even contending with one another—that is precisely what makes Jewish education Jewish and thus ethical. Let me pause here for a brief confession. [Catholic monks confessing to Jews? Judeo-Christian friendship is one thing, but isn’t this going a bit—too far?] The confession: I am, as a Christian and a Catholic, as a man also “of the Book,” absolutely and completely jealous of the Talmud. Almost all I know of the Talmud comes from reading Levinas and a few other Jewish thinkers who have broached this topic in the secular intellectual world. My jealousy and my limited knowledge of the Talmud stems precisely from its being a Jewish sacred text (or intrigue of texts) and I sense it would be a profanation were I to attempt simply “to read it on my own.” An essential part of the point that Katz makes is that one simply cannot “read the Talmud on one’s own.” Reading the Talmud requires not simply an intellectual dynamic, but an actual school, precisely a shul, where the voices that would otherwise be long dead, sunken into the said, become again a saying. In this way, learning to read the Talmud—and actually reading it—requires precisely a Jewish education, which forms the subjectivity that is the key to Levinas’s ethical teaching. That is Katz’s thesis. But is this book symposium simply an exercise in hagiography? Am I here to say, “Levinas got it right and, praised be the Almighty, Claire Katz did, too”?! Despite the fact that my religious tradition has proved itself rather proficient in hagiography, that’s clearly not my task. I have a charge, from Levinas himself, to allow no one a lapse of attention or a lack of rigor. What are we to make of the claim that this Jewish particularity which ek-sists paradigmatically in the study of the Talmud, is at the same time universal? This is in many ways the real question of Katz’s study of Levinas’s admonition to confront the crisis of humanism with Jewish education. To complicate things, she writes that “in Levinas’s view, the Jewish sacred texts teach a universalism that is not reliant on particularity” (114). Levinas’s own language is stronger, if perhaps narrower: “These old texts teach precisely a universalism that is purged of any particularism tied to the land, or recollection held within the plant” (DF, 257; [caveat: I do not pretend to know what “held within the plant” signifies here]).3 What does it mean that the concrete particularity of Jewish texts, which are to be studied in Hebrew, are “purged” of their particularity? Can this purgation of particularism mean that the truth these Hebrew texts teach is not really particular, but is, instead, accessible to all? We don’t want to slip back into mythology, into proscribed evocations of Heraclitus, the Greek philosopher who taught, “The Logos is common to all, but each acts as if he [or she] had a private understanding” (Fr. 2). Clearly Levinas doesn’t mean this: that the understanding offered by the Talmudic texts—“the basis of all Jewish education” (DF, 287)—represents merely a “seeming” particularity or uniqueness that is in fact universal and “common to all”! But what does such a universality signify? Katz tackles exactly this question both early and late. In the introduction, she emphasizes that one of Levinas’s important concerns in the years after the war was to argue that Judaism’s uniqueness or particularity and its universalism are, if not one and the same, intimately related. She writes, “There is a dimension of Judaism, Levinas argues, that is universal and this dimension is also what makes Judaism uniquely Jewish” (10). According to Levinas, it is not that Jewish education has as its business to cultivate and to maintain the particular and uniquely Jewish cultural expressions of a truth that is in itself or essentially universal—a universal that would have other, equivalent cultural expressions in other religious traditions, perhaps even in purely secular ethical traditions. As much as such a schema might fit a normal philosophical understanding of the relationship between universal and particular, it seems clear that this is not what Levinas thought (about anything!) Rather, Katz writes, “[Levinas] believes the ethical impulse that is fundamentally and uniquely expressed in Judaism applies to everyone” (10). What is universal in Judaism, according to Katz, is “an ethical subjectivity that is turned toward the other—a subjectivity that [Levinas] believes is in stark contrast to the subject produced by modern European thought” (14). She goes on to claim that this ethical subjectivity is glimpsed already, fleetingly, in two pre-war writings, the essay on Hitlerism and On Escape, and then more systematically and explicitly in the 1950s essays and addresses on Jewish education as well in studies that culminate in Totality and Infinity (1961), which then functions as the first comprehensive and synthetic philosophical formulation of this ethical subjectivity. The idea is then developed further through the 1960s essays collected in Humanism of the Other and culminates, I think most would agree, in the discussions of subjectivity as substitution in Otherwise than Being. The task of Jewish education, then, according to Katz’s explication of Levinas, is to teach, that is, to cultivate and to form, just such ethical subjects. Furthermore, she maintains, Levinas believed this is a task that education in and formation by the Jewish tradition is uniquely able to accomplish. What does this “uniquely” mean? Katz traces in chapters 3–5 Levinas’s analyses, through various writings, of the general failure of Western humanism to which Jewish intellectuals had subscribed, according to Levinas, both in response to Emancipation—the enfranchisement they had won in many European states—and also to the broad trend of assimilation, itself not unconnected to the Emancipation response. Levinas often represents this Western humanism as a secular version of Christianity, a relation that, he implies, disqualifies Christianity from being part of the solution to the crisis of humanism. Christianity, as Katz represents Levinas’s analysis of it, is too tied to individual salvation, and thus also to the individualistic notion of subjectivity that it more or less bequeathed to secular European humanism. Katz argues convincingly in her analyses of the essays on Hitlerism (1935) and “On Evasion” (1935) that Levinas already saw in the 1930s the evidence that European humanism had failed. The Hitlerism essay “presciently” identifies a philosophical predilection for idealism as a repudiation of the body or a view that our enchainment to the body is something that must be overcome. This is a familiar Platonism-as-Christianity interpretation—in other words, it is pure Nietzsche—and not without some justification. The refusal to take the body seriously, the turn away from incarnate humankind, leaves Western philosophy unable to deal with the challenge of Hitlerism, which, according to Katz’s reading of Levinas, Christian-inspired philosophy “justifies.” This justification is, in part, identified with “the Eucharist,” which signifies “the possibility to be set free from one’s past” because “it triumphs over time and this emancipation takes place every day.” 4 Christianity’s eucharistic “mystical drama” produces a “freedom [that] has an austere purity,” a freedom that is “transcendental” in the bad sense, that is, divorced from “the material or social conditions of people” (62). Because of this, Christianity is incapable of confronting Hitlerism, as is European liberalism (humanism), which simply puts “the sovereign freedom of reason” in the place occupied by Christian spiritual freedom. Let me first comment on the odd adjective “Judeo-Christian” here. Levinas clearly does not see anything authentically “Judeo-“ in this leitmotif of freedom. This is not “freedom on tablets of stone,” but freedom sublimated in idealism. Rather, “Judeo-Christian” here represents the sham product of a naïve and ecumenical assimilation. (I only wish Levinas could see that what is “Christian” in this ersatz adjective is just as sham as what is “Judaic”!) When Levinas writes about Judaism, he is sharp and concrete and rather hard in challenging sentimental piety. But he depicts Christianity using a stereotyped and ineffectual image—stereotyped because it seems to be derived from the worst excesses of a pseudo-Hegelian mythology. I do acknowledge that Katz cites in this chapter not only the historically factual failure of “the church” to oppose Hitlerism, but equally verifiable agreements or concessions officials of Christian churches in Germany and elsewhere made with Hitler and his regime, referencing the recent work of Susannah Heschel on this topic. My point in mentioning this is not to contest or excuse such appalling and un-Christian complicity on the part of churches, church organizations or individual Christians. Still, it seems to me like an ad hominem argument writ large. What Levinas writes in his Hitlerism essay comes across as a claim that Christianity is essentially incapable of ethics, essentially incapable of forming proper ethical subjects. This is a strange allegation from one who everywhere puts the reduction of things to their “essence” In question. At the same time, I will admit that much of Levinas’s criticism, delivered (to deaf ears, alas!) in 1934, is a very different kind of “saying” and fits well into that intersubjective and challenging intrigue, that give-and-take that is necessary to philosophical wakefulness. 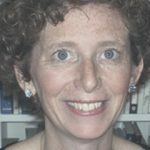 To return to the question that is central to Katz’s book and about which I think she is exactly and insightfully right: Why is Jewish education uniquely suited to the cultivation and formation of the ethical subject that Levinas comes to see as the first task of philosophy? One clear answer, on which the 1930s essays as well as the essays on Jewish education and the critiques of the “crisis of humanism” insist, is that Jewish education is uniquely suited to this calling in part because other modes of education had manifestly failed at it. This I do not dispute. Of course, it doesn’t seem that Jewish education had been an unqualified success either, or else there would be no need for Levinas to make his case as strongly as he does. As Katz is careful to emphasize, Levinas is largely offering these talks to secularized Jews. We might say that he’s speaking to a traumatized audience—or a post-traumatically stressed audience—but not exactly to a sympathetic one. At least not immediately. Assent to what Levinas urges of his Jewish audience would have required many of them to repudiate the intentional or at least acquiescent stance they had taken to their Jewish traditions through assimilation. And Levinas’s reaction to this acquiescent assimilation that had allowed those strong and particularly Jewish traditions to atrophy is, as Katz correctly understands it, stern and demanding. These were dire straits. And these are dire straits. It is not “any old” Jewish education that Levinas champions in his essays, but a return to the stern and intellectually rigorous tradition of learning Hebrew and studying the Talmud. Katz turns to Levinas’s Talmudic reading, “The Temptation of Temptation,” as well as to Rosenzweig to emphasize that this kind of commitment involves a doing before hearing (97). It is demanding. The medieval Christian philosopher Anselm of Canterbury coined the motto “credo ut intelligam” [“I believe in order to understand”] as a principle for articulating the relationship between faith and understanding. What I take Katz to be claiming for Levinas (and for Rosenzweig, and, by extension, for the tradition of Jewish education, is more radical yet: facio ut intelligam [“I act (or perform) in order to understand”—in all fairness, this should be rendered in Hebrew, not in Church Latin: na’aseh v’nishma]. One of the burdens of Katz’s book is to show that the formation of the ethical subject is the overriding goal not only of Levinas’s writings on Jewish education, but of his philosophical writings as well and one might say his entire professional career. She turns to this because she believes it to be the true, unifying thread of all Levinas’s thought, and I find her argument wholly convincing. But she also turns to it, I think, because the other, more sectarian solution—that everyone must undergo a Jewish education, that everyone must become Jewish, just seems untenable. At times it seems like Levinas is saying this (14, 123), but Katz knows that this must be figurative; it doesn’t “work” at the literal level. Still, the question remains, how is it figurative? How can it be figurative when Jewish particularity is so insisted upon? The solution to this quandary is the association of “Jewish education” with the formation of the ethical subject that is first “for-the-other” not “for-itself.” The subject that asserts its “place in the sun” by presuming to arise in this very sun was always already an usurpation, a violence. But if there are acceptable philosophical formulations for this demand, Katz realizes, they often lack the urgency that compels assent: “The ethical subject can be described in philosophical language,” she writes. “What cannot be addressed adequately in philosophical language is how that ethical relationship comes about, precisely because it is not a rational response to the Other” (96). Rather, the ethical relationship is learned through education that is first and foremost a practice and a discipline, not simply the acquisition of concepts to which the subject gives free intellectual consent. Everywhere that religion tries to become philosophy in Levinas, it seems to turn back into religion again! Katz is certainly sympathetic to the difficulties this raises for non-religious, non-Jewish thinkers. But I think she is right in insisting that something religious is at the heart of what Levinas is advocating. Not sectarian, despite the insistence on Jewish particularity, but religious. Isn’t that, after all, what it means to include both Athens and Jerusalem in the itinerary of philosophy? Katz returns to describe these particular practices later, in chapter 6. After citing Levinas’s own description (in Is It Righteous to Be?) of studying Jewish texts in his childhood in Lithuania, she writes, “To approach the Torah ‘Jewishly,’ then, is precisely to approach it through the rabbinic commentary on it. The holy texts engage us; they implicate us in their narrative and they ask us to respond to them” (142). On the one hand, it is clear that this approach is distinctively Jewish. I mentioned earlier how jealous I am of the Talmud as both text and tradition. It is unique. My own tradition produced in the Middle Ages the Glossa Ordinaria as a teaching edition of glosses from the “Church Fathers” printed in the margins of the Latin Vulgate Bible, but everyone acknowledges that this was a conscious Christian imitation of the Talmud. Such as imitation does not repudiate the uniqueness of the Talmud, but recognizes it and testifies to it. Still, I think there are other texts that speak to us with a kind of authority—from a height—that is at least evocative of the effect Levinas is striving for, even if they don’t diminish the Talmud’s uniqueness. Katz herself mentions just before the passage cited above that “the written word always signifies more than it says. Even literary texts, such as Shakespeare, Molière, Dante and so forth, signify beyond their plain meaning and ‘invite the exegesis that is spiritual life.’”6 A friend of mine, Glen Davis, once commented on Michel Foucault’s hubris in reading and interpreting the texts of the Desert Fathers for his projected volume The Confession of the Flesh. What Foucault didn’t understand, Glen said, is that you don’t read these texts, they read you. Maybe this reversal names the dynamic of shaping the ethical subject that Levinas finds paradigmatic in the Talmud, that is, in Jewish education. Such texts, such voices, call on me to respond, to subject myself to their saying. Since I mentioned the tradition of the Lives and Sayings of the Desert Fathers [and Mothers], I’d like to give an example from that tradition that I think offers a similar dynamic to the texts and tradition Levinas describes. I do this not to challenge the claim of the uniqueness of the Jewish tradition Levinas finds paradigmatic for ethics, but to gesture toward the kind of universalism about which that very tradition testifies. The Lives and Sayings were oral traditions later written down and anthologized. This story is about Abba Moses, a fourth-century Egyptian monk-hermit. While interpretation of this story seems fairly straightforward, the text and tradition also clearly have a vocative urgency that demands both attention and response from the reader. They call one to self-examination and to a kind of renunciation of the self-assertive subjectivity that Katz makes clear Levinas criticizes. In company with other sayings not only of Abba Moses but of other desert Abbas and Ammas, texts like these can exercise a strong formative influence that seems at least analogous to the claims of Levinas to which Katz’s book points us. Is not the universal dimension Levinas insists that Jewish education embodies in its particularity precisely this vocative urgency? Is not this very urgency what Levinas designates both as “religion” and “height”? Levinas writes in Totality and Infinity that he reserves the term religion for “the relation between the being here below and the transcendent being that results in no community of concept or totality—a relation without relation.”8 This relation is described in the same terms of height that characterize the teaching relation in Totality and Infinity, to which Claire dedicates a crucial section of chapter 6. The Other teaches me, forms me as an ethical subject—that is, a subject capable of ethical relation—not only from a height, but as height, as a demand that is precisely ethical: “The first teaching teaches this very height, tantamount to its exteriority, the ethical” (TI, 171). Is this height and the ethical responsibility to which it calls us what Levinas means by the ethical uniqueness and universality of Jewish education? Is there something religious but not dogmatic or doctrinal about it? It speaks truth to power and calls me to recognize, convicts me of this truth. The height from which it teaches and convicts is also its destitution and its vulnerability. Is it possible to miss this conviction, not to perceive or apperceive it? Of course. That some individuals do not experience beauty is no argument that beauty is false. Ethics is a vocation and not a fact. In other words, those who have ears to hear recognize those prophetic voices, voices not confined to any particular religion or culture. But such ears do not develop spontaneously, Levinas reminds us. Ears need to be attuned if they are to be able to hear and to heed such voices, to be subject to their urgent call. Levinas argues that Jewish education teaches precisely such attunement, such ethical subjectivity. If other experiences teach it too, we can and must welcome that lesson. Let me finish with Dennis. Dennis’s comments were mostly in agreement but he did take issue with one particular point. So I will focus on that. First, I concede that on the one hand, Levinas is not always a charitable reader. On the other, I think Levinas is genuinely perplexed by Christianity. It was a convent that saved his family; it was an ecumenical but nonetheless Catholic journal that published the Hitlerism essay, but it was also Christianity that led the Crusades, the Inquisition, and collaborated with the Nazis. The writings on Judaism take up significant topics—but in particular, he is concerned with a false sense of secularism enjoyed by both Jews and Christians. I think Levinas worries that there is little understanding of how much of the “public” space operates in a religious way even though many or most Christians believe that the world outside their church is secular. I have neighbors who have taken their kids out of public school because the school, with its giant Christmas tree in the foyer—the tree in front of which elementary school kids have their pictures taken for their “holiday” cards—is too secular. My kids asked me just the other day why we are not off of school for the Jewish holidays—they have to make a choice: to go to services and miss school (which in high school means something) or feel as though they are betraying their Jewish identity. This is generally not a choice that Christians have to make. Part of me wants to agree with Dennis at the same time that I know part of the contention in Christian theology is what it means to be Christian—is it works and deeds? Is it belief? What would it mean to accept Christ as the messiah and still be a jerk? Or a Nazi? Would this fall under the Socratic dictum—to know the good is to do the good such that we would say about such a person that they could not really be Christian and also be a Nazi? In the same way that I worry about discussions over who is a real Jew, I also worry when these discussions include other religions. Religions include a wide variety of people and interpretations. And this leads me to Levinas’s approach to Jewish education. Let me preface this with rightly or wrongly . . . so rightly or wrongly, Levinas reads the Jewish sacred texts as yielding a plethora of interpretations—all valid, all at once. However, the one non-negotiable that he believes is found in these sacred texts is a responsibility for the Other. That is, he sees this as the one common thread that runs throughout the texts. This approach allows him on the one hand to hold responsibility for the other as fundamental to the Jewish sacred texts while also allowing for the plethora of readings that (a) honor the spirit of talmudic reading and (b) do not require him to deliver or condone a decision procedure or moral theory for his ethics.